The fact that I'm a huge fan of Tolkien's The Lord of the Rings shouldn't come as a surprise. However, even though I have read The Silmarillion and some of the Unfinished Tales, I have never read The Hobbit. I explained why in a previous post when I shared the trailer for the first of the three movies, An Unexpected Journey. As I mentioned in that post, I decided not to read the book before watching the movie. I have now seen it. Am I glad not to have read it? The answer is yes so far. Still, after watching it, my curiosity took over and I searched the web to know what was different from the book. I won't share that here, but what I realized was that my expectations for the movie would probably have been wrong if I had read it. 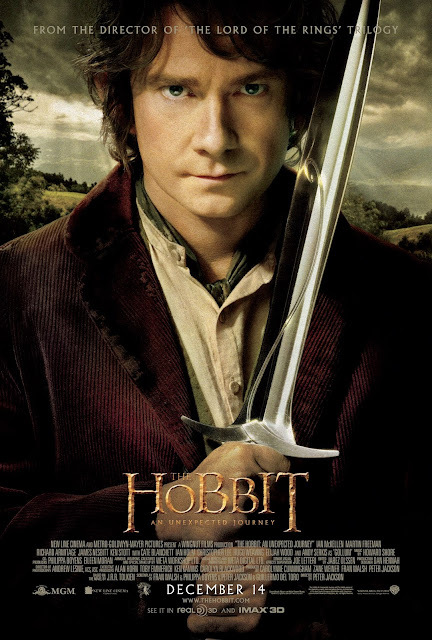 The story of The Hobbit seems to be more personal and way more straightforward and YA oriented than the result on screen. Peter Jackson tried to incorporate more 'epicness' into it and I think it created a kind of uncanny hybrid. That being said, I will certainly read it someday, when the third movie will be behind me. Anyway, you now understand that my reaction to the movie isn't biased by the correlation between the book and the film. Sadly though, I wasn't mesmerized as I was when I watched the LOTR trilogy. However, I don't think that the two movies ought to be compared like that. LOTR has a feeling of dread and an atmosphere too different from the joyous and adventurous elements of The Hobbit. Then again, I had a good time watching it. The integration of scenes explaining the rise of Sauron from the appendices of The Return of the King is a great idea, it adds more lore and compelling history to the LOTR universe on screen but it feels kind of out of context with Bilbo's quest. Even if it could be argued that Thorin is the main character of the movie, I have to agree with most people who criticized the film, Martin Freeman is doing an amazing job as Bilbo. The time spent focusing on him is where the movie shines, like the scene with Gollum or the whole reunion with the dwarves at Bag's End. That group of dwarves are entertaining but some of them still confuse me. However, with so many interesting characters, Gandalf included, when the action slow down and moments of companionship arise, you can expect great things. So there you have it. I think that The Hobbit is not the movie it could have been but it's a worthy effort. It was probably an error to make three movies of it but that judgment will rest until the final movie. It's a nice piece of entertainment but not one that compares to its LOTR forefather. 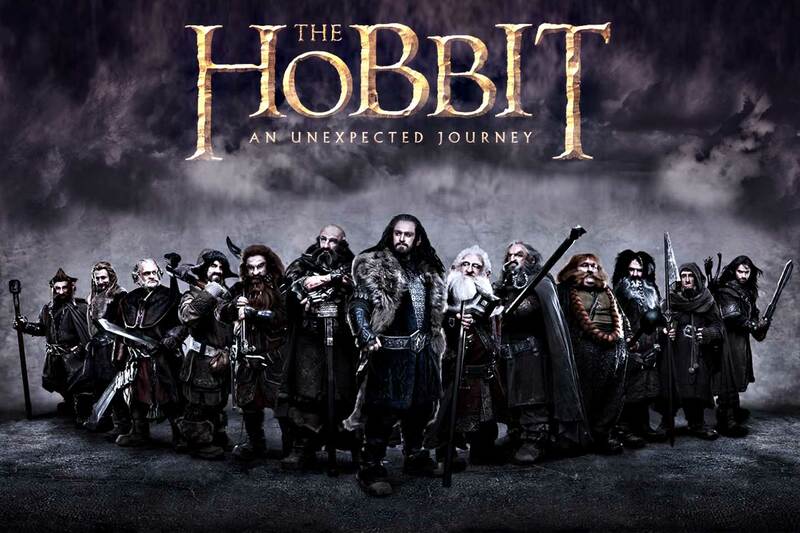 I really enjoyed The Hobbit for what it was - a fun adventure. There was no impending dread or world apocalypse if Bilbo decided to give up and go home - the only bad thing that would happen to him is that he'd be missing out. I think some folk have judged the film too harshly, both in comparison to the book and to the LotR movies. It's a different beast. I thought there were some definite weaknesses in the movie, but it was still enjoyable. I put it on a par with "Tnhe Two Towers," which was my least favorite of the LotR movies but still worth seeing. I think Peter Jackson did a remarkable job of mixing the lightheartedness of the book with the epic feel people who saw the LotR movies without reading the books might expect. I think the problem is that Jackson tried too hard. 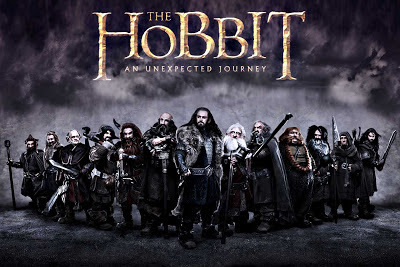 The Hobbit is simple story with little to deal with LOTR till the end when Bilbo pick up the ring. Jackson tried to tie it into the LOTR movies and I think that hurt it a little. Overall however, I still think it's a good movie. You just need to take it on its own.